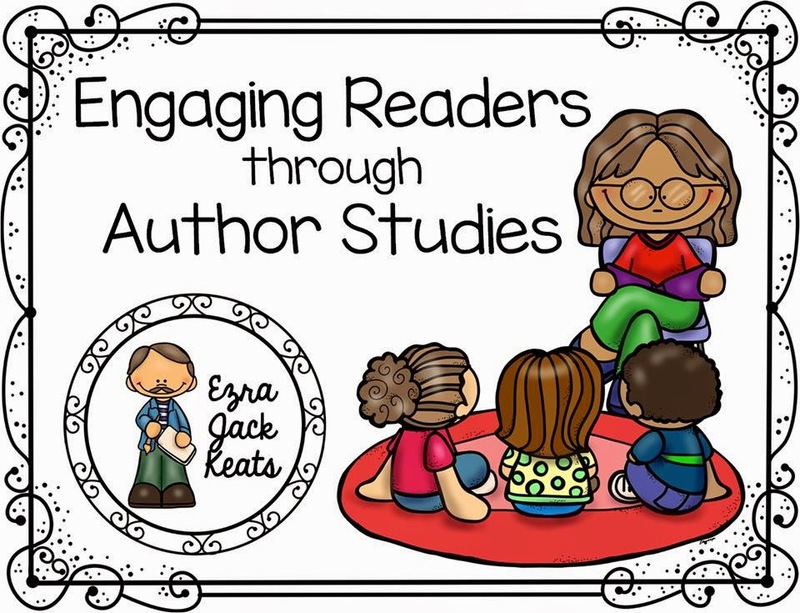 Primary Possibilities: Author Study Fun with Jack Ezra Keats! 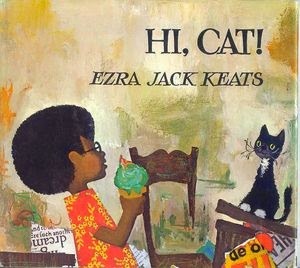 I have always loved Ezra Jack Keat's collection of books. His illustrations are so unique and recognizable that they stand out from any other book. There are so few children's books that are set in urban environments that they appeal to kids in my classes because they are settings they don't see everyday. I am so excited that this is the first Author Study of this series! The illustrations in Keat's first books are a mixture of patterned paper, fabric and oil cloth. He later added gouache (which produced an oil like glaze), watercolors, marbled papers and photographs to his illustrations as he continued. Keats was first an illustrator for other authors before setting out to write his own children's books which he would also illustrate. Keats later said of beginning to write and illustrate his own books "I was like a child playing. I was in a world with no rules." "Hi, Cat!" is the story of Archie as he meets a new neighborhood cat. The cat throws a wrench in Archie's day as it follows him on the way to meet Peter. The cat causes all sorts of chaos for Archie and even follows him home at the end of the day. Despite all the trouble the cat causes Archie, he can't help but realize maybe that cat really likes him... and maybe he likes that cat! This book is a great to teach cause and effect...usually the cat is causing something terrible to happen to Archie! 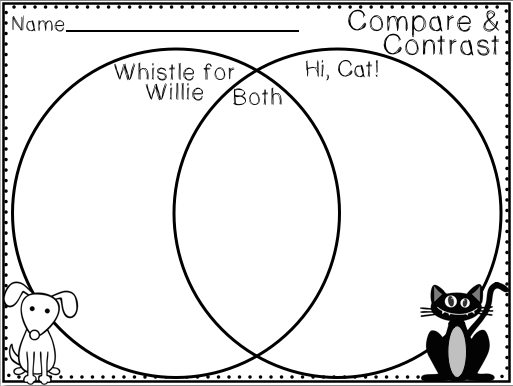 It's also a great book to compare and contrast to "Whistle for Willie" because both have animals interacting with the main character. 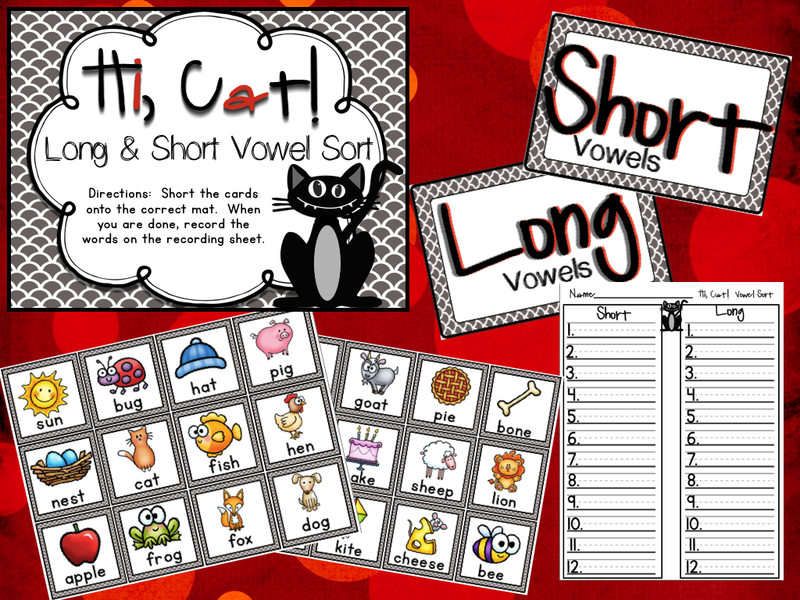 You can also use this book as a great way to talk about short & long vowels. 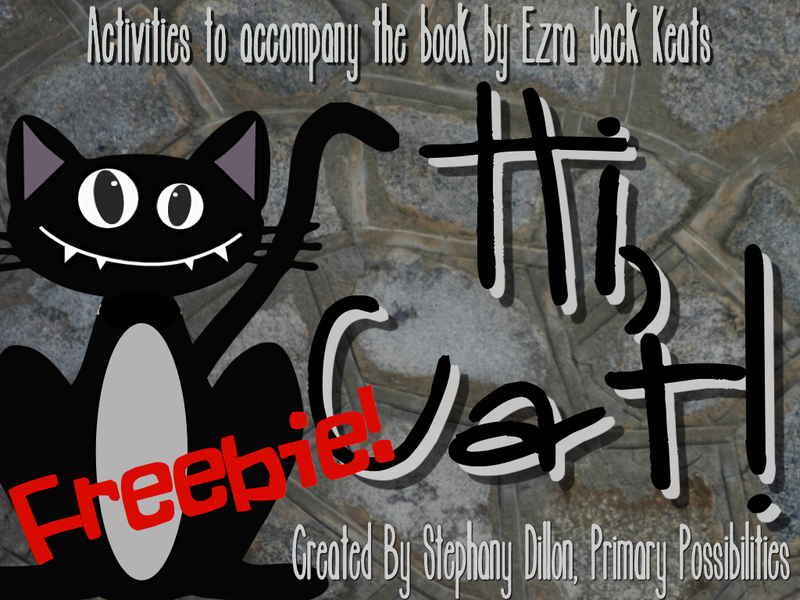 Here is a little freebie sample that goes along with the book "Hi, Cat!" 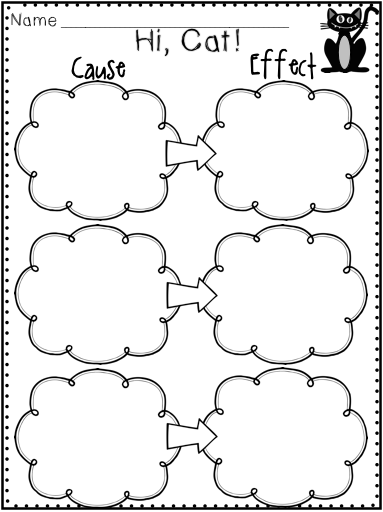 Click on the image below to grab your sample! 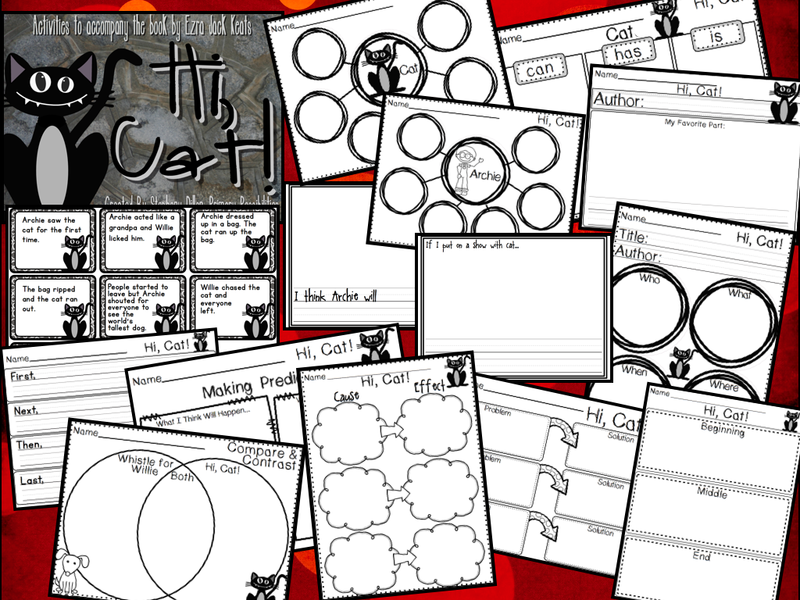 You can grab the full version to this packet by heading on over to my TpT store. Just click on the images below! 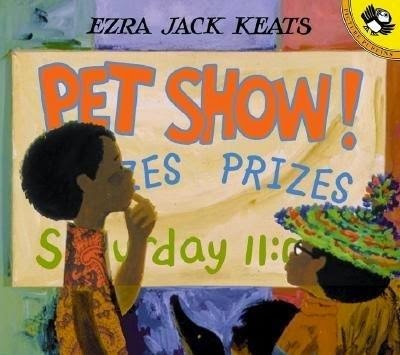 Head on over to Kay's blog Sommer Pride to check out her post about "Pet Show!"